Our Tunis flock is 100% RR! We have been working toward this goal for several years and are proud to finally have achieved it. 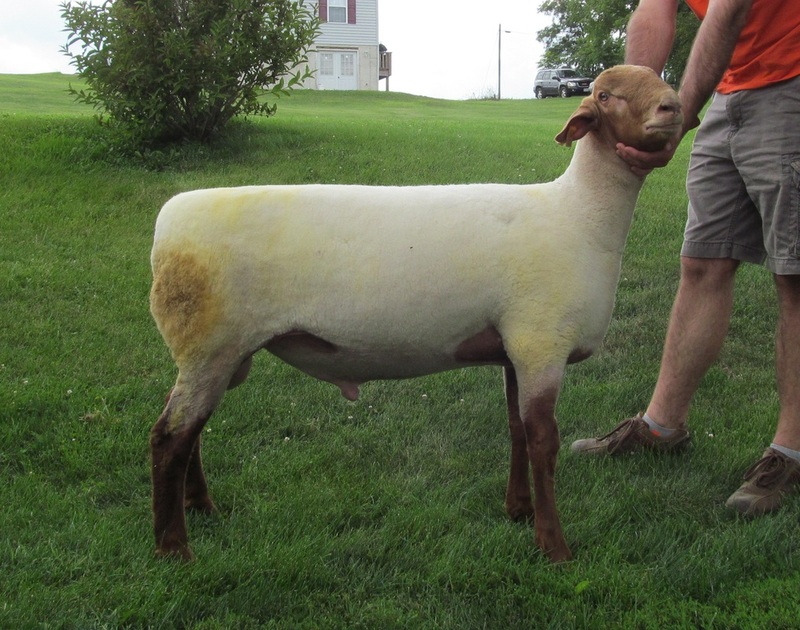 Sire: MJM Farm 1113 "Roberto"
Rocket Man's combination of Danny Boy and a Mom's Tunis ewe worked so well on our flock, so we were excited to be able to purchase this ram from the Rocks. His sire, Roberto is another "Danny Boy" son who was Reserve Champion at the 2012 National Sale. 14301 was the 1st place Fall Ram Lamb at the 2014 National Show. Half of our ewes are bred to 14301 for 2017. 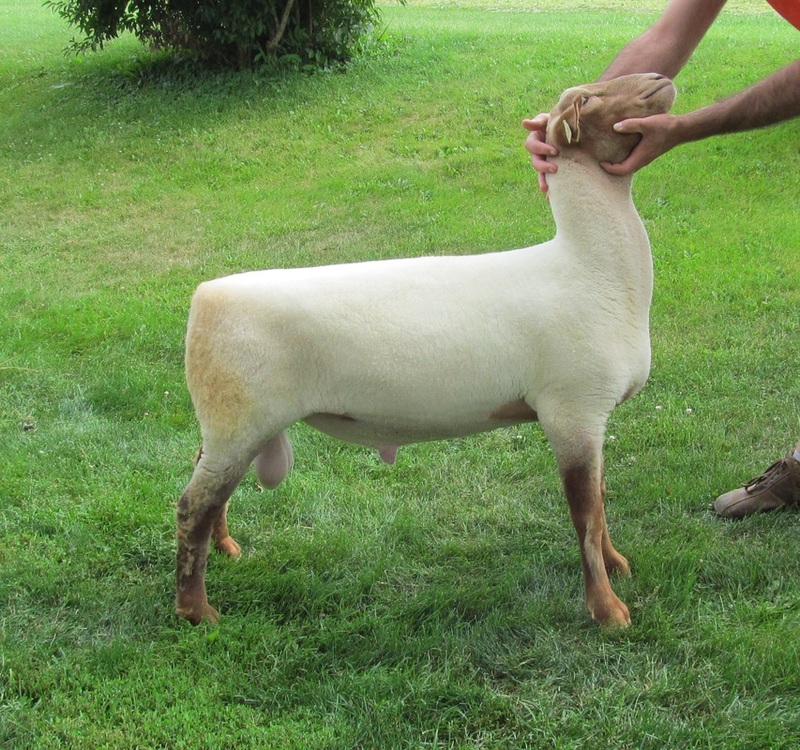 Sire: Bruns Tunis 1101 "Jack"
Johnny was our pick of Brun's February ram lambs at the 2014 National Show. He is a wide based, deep sided ram with a clean front and an easy stride. Johnny is just the out-cross we have been looking for! Half of our ewes are bred to Johnny for 2017. 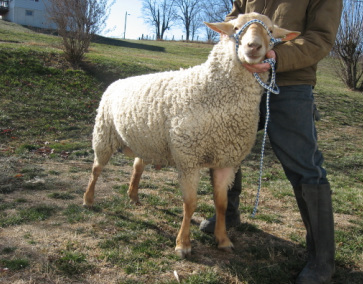 This guy was the first place January ram lamb at Wooster in 2012, and he is an eye-catcher! He is long and extended and still has plenty of grow left in him. Our previous Wise stud "Heinz" sired great lambs for us, and we look for the same kind of powerful offspring from 1203. He will be exposed to a select group of ewes for February lambs. Our thanks to Dirk & Michelle Wise for letting this one go. RQL Farms 1126 RR "Rocket Man"
Sire: Kleman 36 "Danny Boy"
"Rocket Man" was our pick of the Yearling rams at Wooster and sired the majority of our 2013 and 2014 lambs. He is really a fault free kind of sheep that is long bodied and smooth shouldered without sacrificing the bone that we expect from our Tunis. He is also one of the last sons of the great "Danny Boy." Thanks to the Rock Family for offering such an outstanding ram! Mom's Tunis MTP 349 RR "Target"
"Target" is the sire of our 2011 & 2012 lamb crop. He is a Triple S 402 son with an exceptionally straight top and level hip. The Cassell's showed him slick shorn as a ram lamb in '09. 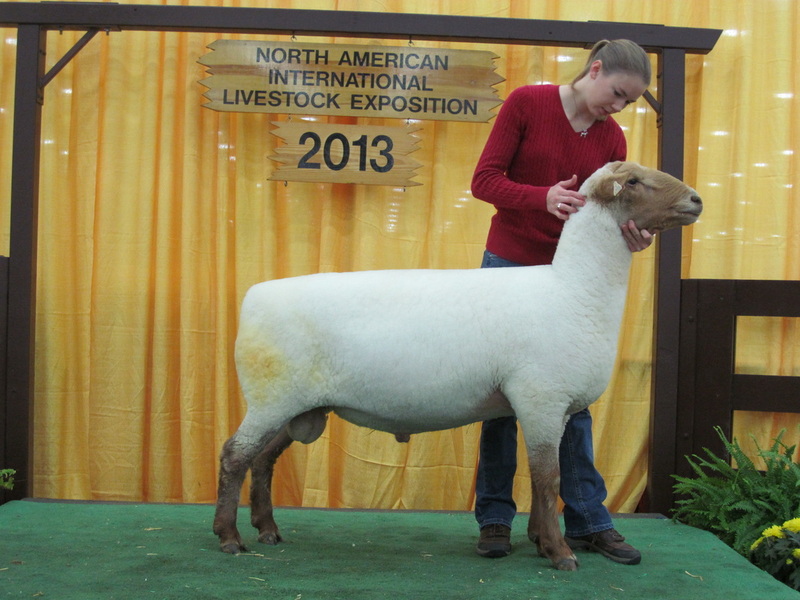 "Heinz" was purchased from Dirk Wise at the 2008 National Sale and sired our 2009 and 2010 lambs. He gave us lambs with great length, extension, and color. 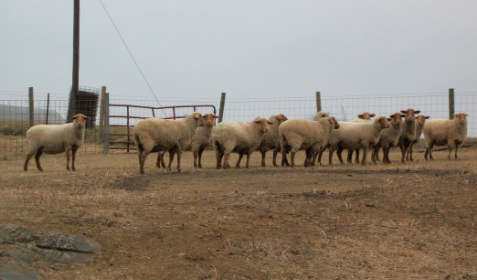 Our ewe flock has been built mostly on ewes from Mom's Tunis and many of the ewes have the Triple S 402 ram in their pedigree. Woolly Hollow 0118-12, sired by "Target" and dammed by a Powley ewe.